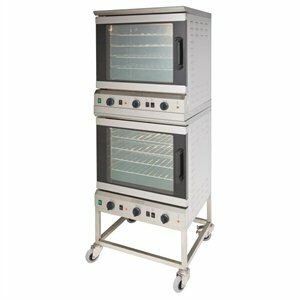 The Burco stacking kit is designed to safely and conveniently stack two large Burco convection ovens. Constructed from durable and sturdy stainless steel, the stacking kit helps to reduce the oven footprint within your kitchen. Please note: only suitable to be used alongside the Burco low oven stand and Burco large convection ovens. Image is for illustrative purposes only --ovens and low stand sold separately.